Awh, the excess of holiday indulgence. The two month long feeding frenzy known for widening waistlines and diminishing fitness goals for centuries. Well, not for me this year! So what’s my survival strategy aside from being a hermit? For starters I have sworn off grains like they are the plague! And, no matter what, I get on my mat 6 days a week and shake my asana. Hard. Yes, this means my social life is, well, non existent. Although if the truth needs to be told, as a vegan living in Vermont, my social life has been quiet for some time now…8 years to be exact. So, what have I been eating if I’m not eating grains? I mean a vegans diet is packed with staple foods like rice, lentils and quinoa…..so, what does a grain free vegan eat? How do I sustain?? The beginning of my transition was hard, I’m not going to lie, my body was detoxing and cravings were very strong. However, now that I am almost 20 days into eating grain free vegan, I am reeping the benifits of a flat tummy and I have lost 12 pounds, all while still eating lots of really delicious real food. Being a chef and having an intimate relationship with veggies and spices has been helpful in planning meals and I have been having a lot of fun being creative with produce at meal time. (More grain free vegan recipes to come, stay tuned). The one thing that gets me through any hunger situation is a green smoothie! Packed with nutrients and fiber my green smoothie keeps my blood sugar level and keeps me feeling full. 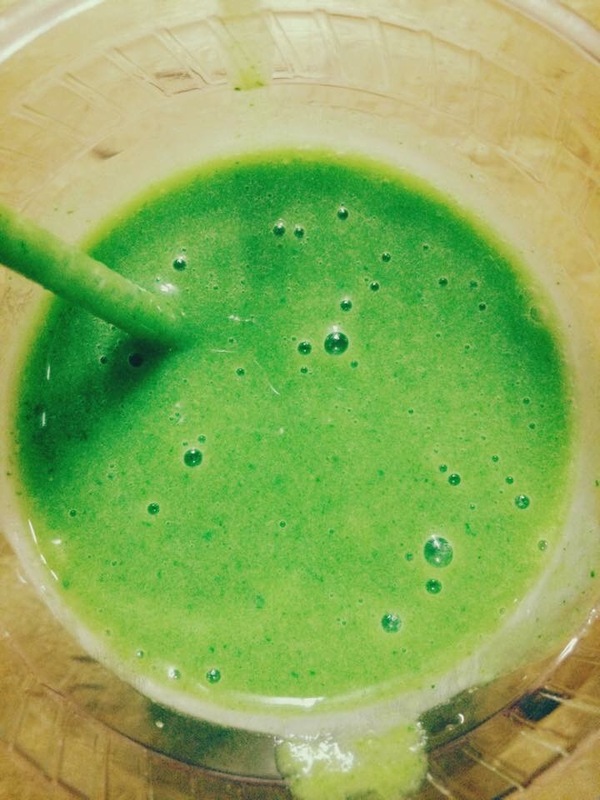 So, while everyone else is sucking down those calorie laden eggnog and rum drinks, or diving in for their 3rd cookie or slice of pie, I will be enjoying my clean green smoothie, at home, in my own personal vegan utopia! Blend everything in a vitamix or other high power blender, enjoy! !